Stand Alone or Wiegand RGB keypad in the same design as Wizard Bronze. As stand alone 2 relays on board and also wiegand protocol for integration with third party access control controllers. The Fasttel proxy reader FTPROXI can also be integrated. 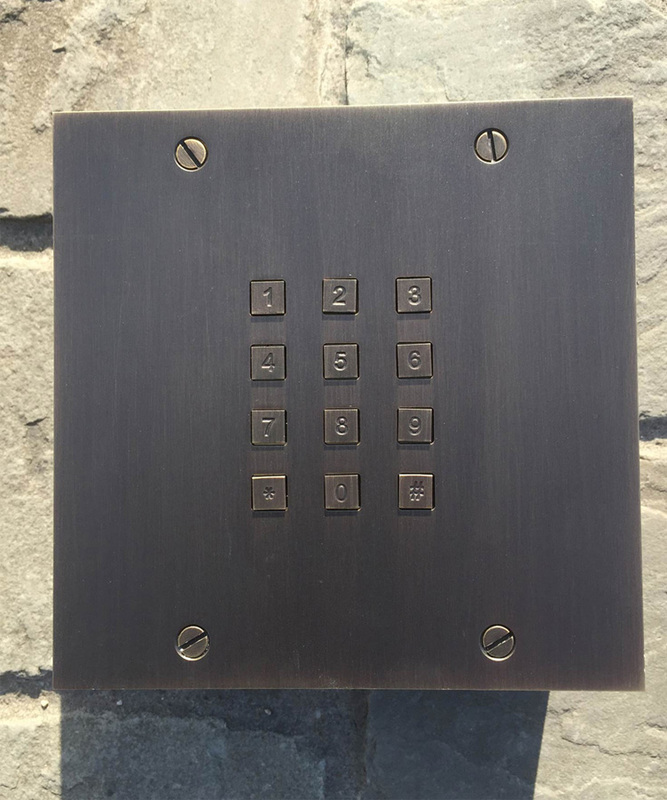 The keypad can be delivered in 2 dimensions. This unit is entirely made out of copper and can therefore be bronzed into different colours. If you want to know who and when entered via the Keypad, the FT25KINT is not the right device. In this case the Wiegand output must be connected to an external access control system. This last one allows you to assign all kind of rights to for example family members or staff. Professional reports of all events are provided. Fasttel also offers those controllers. 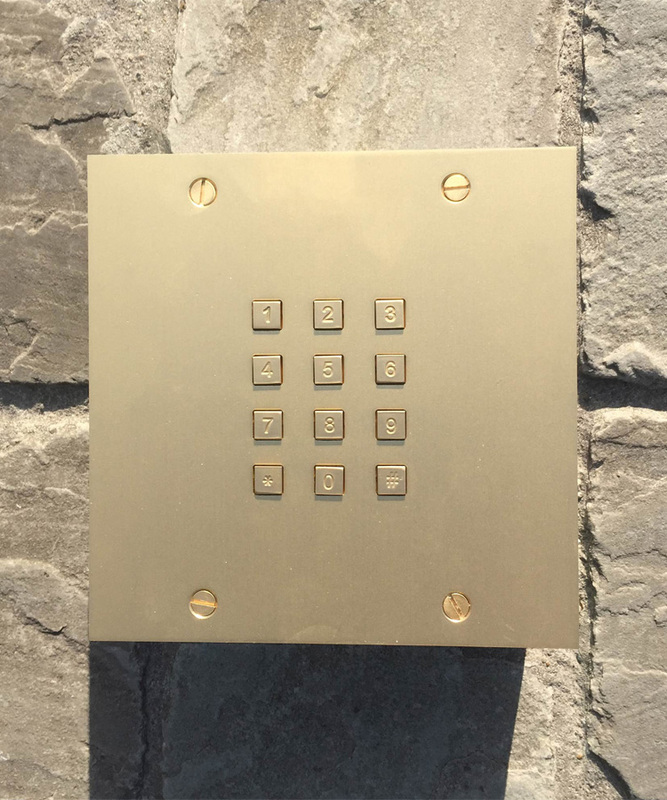 This set of accessories is very practical, whenever the Keypad must be fitted into a hollow wall or pillar. 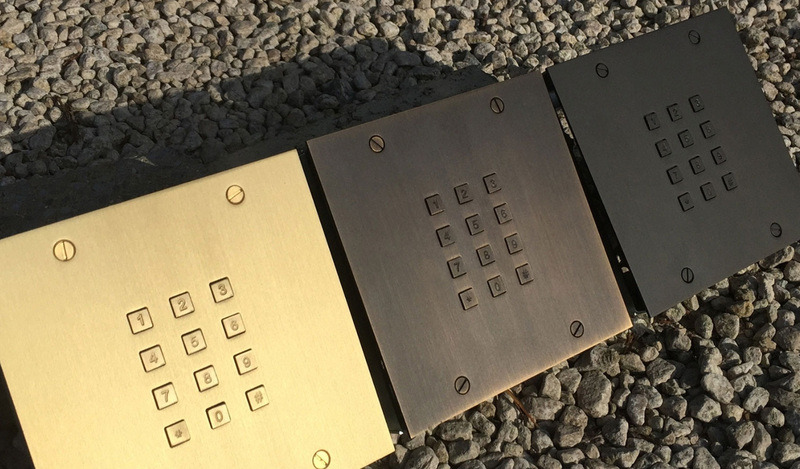 FT24K can be fitted with an Ekey fingerprint reader. It is seamlessly integrated into the bronze frame.